In an era where organizational survival depends on gaining every competitive edge, the study of citizenship behavior is particularly relevant. Thus, the success of educational institutions critically depends on the educators’ willingness to go beyond the call of duty by exhibiting organizational citizenship behavior (OCB). This chapter aims to investigate the relationship between Islamic work ethics (IWE) and OCB. Religiosity, effort, work obligation, and collectivism were selected as dimensions in IWE. Data were collected from a sample of 130 employees from educational institutions through hands-on and online survey. Data were analyzed using SPSS, and multiple regression analysis was used to test the hypotheses. Results revealed that religiosity, effort, and work obligation have a significant positive relationship with OCB. However, collectivism was not related to OCB. It is recommended that for future research, a wider range of respondents should focus on other areas as well and also other work settings. 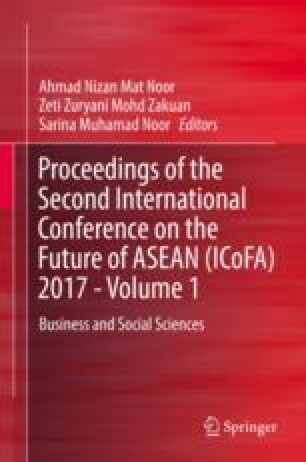 Murtaza, G., Abbas, M., Raja, U., Roques, O., Khalid, A., & Mushtaq, R. (2014). Impact of Islamic work ethics on organizational citizenship behaviors and knowledge sharing behaviors. Journal Business Ethics. https://doi.org/10.1007//s10551-014-2396-0.